When it comes to Manhattan and seeing the sights I don’t even know where to start! You could be there for a few weeks and still not see it all. That being said there are a few places that I recommend and here they are, and the best thing about it is they are free! When you’re in Manhattan you’ve got to take a walk down 5th Ave, this is such a famous street. 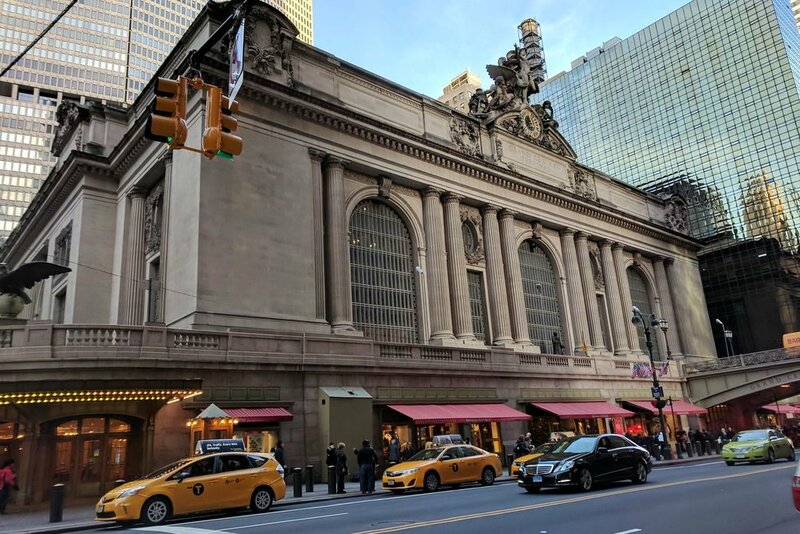 This street is home to so many well known places like The MET, Central Park, Plaza Hotel, Bergdorf Goodman, Saks Fifth Ave, Tiffany and Co, New York Public Library and the list goes on and on. You can start at the MET, then walk along Central Park and as you make your way further down the street see you can see the big-name fashion houses such as Louis Vuitton, Prada and more. There is so much happening on the street that’s why it’s so busy and filled with tourists. Famous from so many movies this is also a major tourist attraction of NYC, well to be more accurate the world! This is where the Naked Cowboy made himself a name. You will be surrounded by flashing billboards, restaurants, shops, and more visual stimulation than you have experienced before. 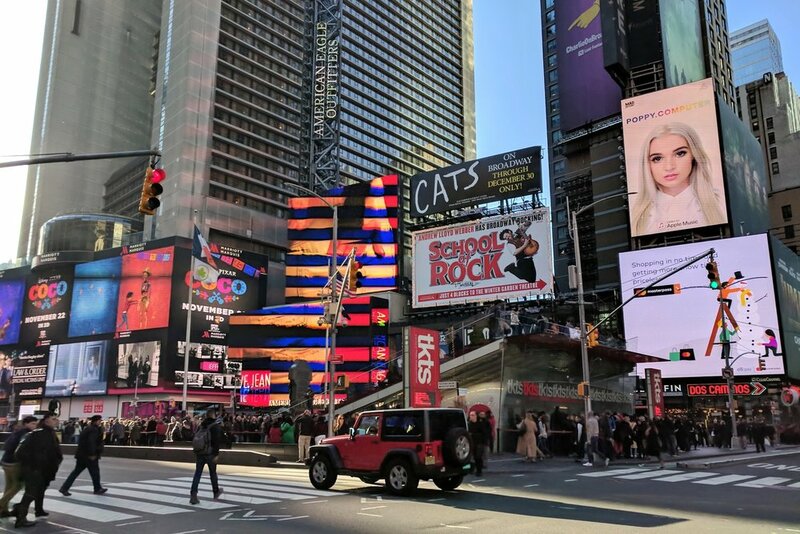 Around here you will find the Theatres so you can catch a show, or if you are around for New Year’s Eve you can watch the Times Square Ball Drop! Not only is this a famous landmark it’s also the location where many movies have been shot like Friends With Benefits, remember Closing Time flash mob ending scene? This busy station transports many people, but it also makes for a great place to visit even if you are not going anywhere. The building is just beautiful with so much history and really worth seeing! 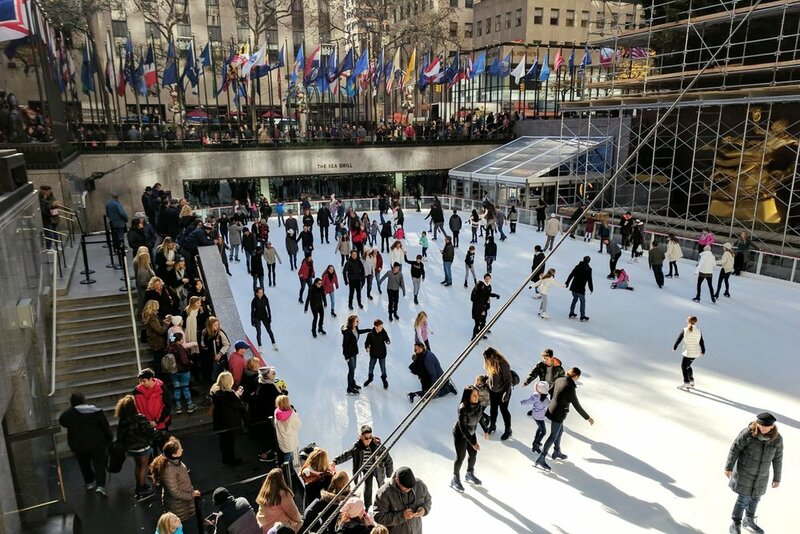 Take a walk around the Rockefeller Center where TV morning shows such as Today film. You will see the ice skating rink, the NBC studios, and Radio City. This is another major tourist attraction in NYC! Think TV shows like 30 Rock! 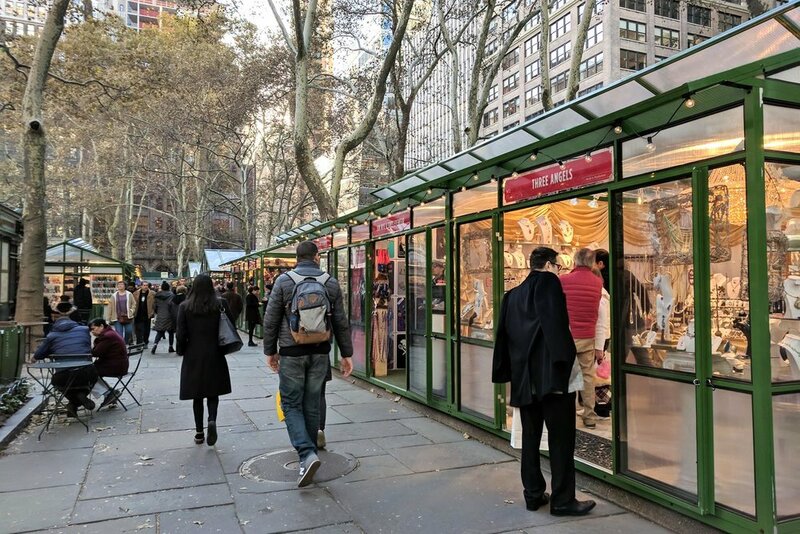 Bryant Park has been seen in many movies and was the home NYC Fashion Week for many years. Now it’s a place where shopping, eating, and ice skating has moved in. There is something here for everyone from adults to children and you can spend many hours here walking around and shopping. Note – to all the women out there who love jewellery there is plenty here on offer. The Charging Bull also known as the Wall Street Bull or Bowling Green Bull is a very popular tourist attraction. Back in 2006 when I first saw the bull it was easy to get a photo with it. Now the crowds of people flock here to have their photo taken with it. The latest thing seems to be not only the front of the bull but now the back where his balls are located, people are touching them and getting their photo taken? 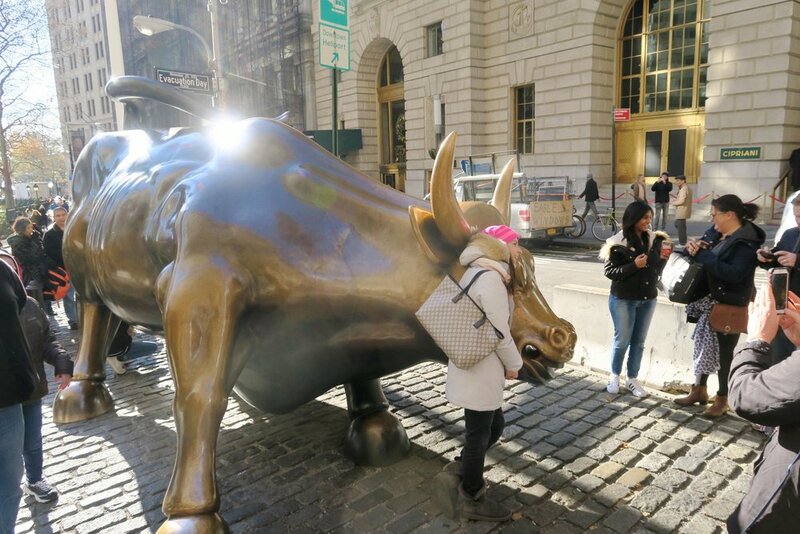 You will also see the sculpture of the Fearless Girl which stands in front of the Charging Bull which has a little bit of controversy surrounding it. This memorial is a place of respect to those who lost their lives on September 11, 2001 and now have their names engraved on the surrounding two pools. It’s a tribute in remembrance and honouring to those who lost their lives on that day. Thousands of people visit this site to pay respects. Whilst seeing the Memorial Pools is free, you need to pay to go inside the World Trade Center (One World Tower Observatory) and also the museum. 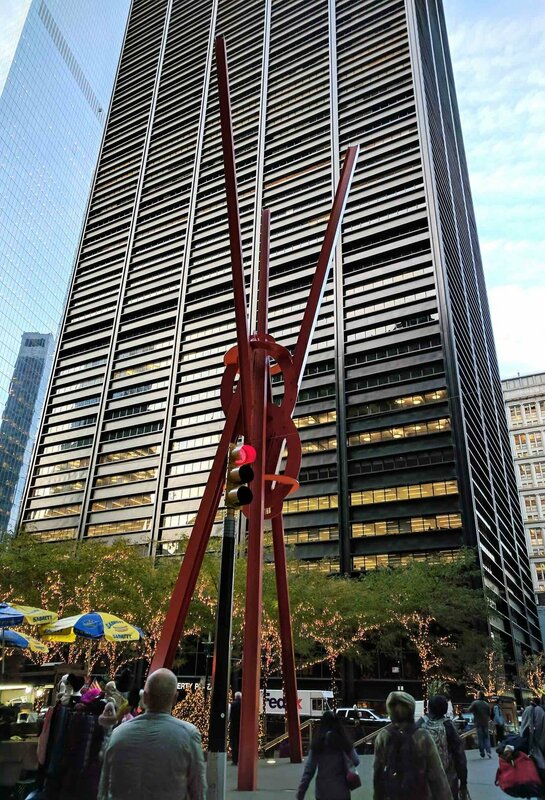 Here you will find the Mark di Suvero’s 70-foot-tall red steel sculpture Joie de Vivre on display. This is the location where Occupy Wall Street protest took place. Located the top of Wall Street (near Liberty Plaza) is this famous and historic landmark where you can visit the gravesite of Alexander Hamilton and other historical memorials and monuments can be seen here. You can see the church on the left-hand side of photo above. This old historic freight rail line is elevated above street level on Manhattan’s West Side which has been transformed into a public park which you can walk along, it’s pretty cool! For more information click here. I have plenty more NYC blogs for you because there’s so much to see and do. But above is a great place to start when looking for free things to do in the Big Apple. I’ll put some other blog posts below for you.